Let’s agree: Hoop earrings have a magical ability to liven up le visage and make any outfit (no matter how simple) look explicitly more chic. And while hoops have never really gone out of style (women have been wearing them for centuries, dating all the way back to Ancient Egypt and Mesopotamia), hoops have had their heightened moments of popularity. Think the ’70s, ’90s, and… now. This season, hoop earrings have ascended to fashion stardom. But not just any hoops. The latest iterations come in cool textures, fabrics, and reinvented shapes and sizes. I’m currently head-over-heels for the unique tortoiseshell and acrylic versions that are reigning supreme on the market right now. Cool-girl brand Cult Gaia has some stunning colorful iterations that will turn heads wherever you go. The lapis blue ones above are my current favorites. These also come in a plethora of cool colors and a mini version. Not only do they garner a slew of compliments whenever I wear them, but they positively brighten my look and mood. The added bonus is you don’t really have to dress up when you wear a pair of stunning hoops like these. A basic white tee and tracksuit bottoms suddenly acquire character when a unique pair of earrings is added to the mix. You don’t have to jump through hoops to get your hands on this season’s must-have earrings. 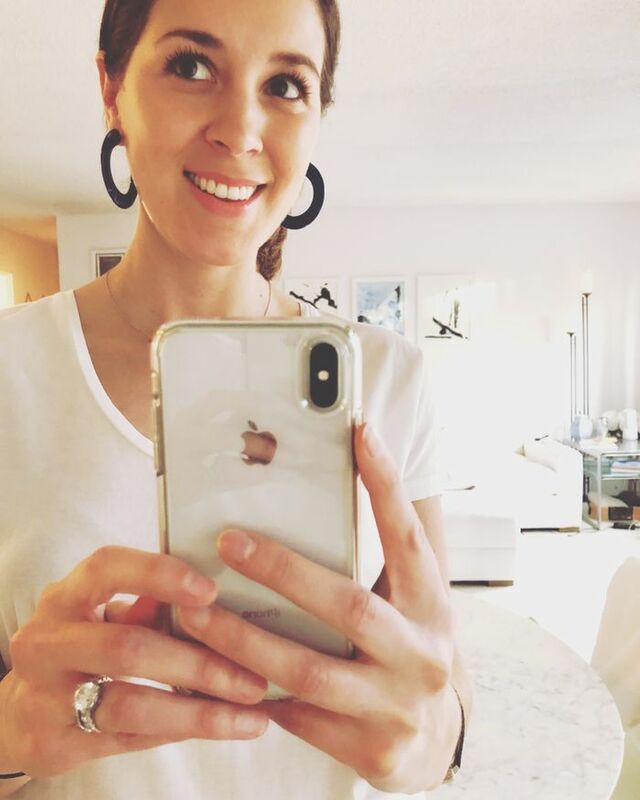 Scroll below to see my absolute favorite unique hoops of the season. These beautiful blue acrylic earrings are currently making my lobes very happy. Transparent and uniquely shaped—these will add a modern touch to every outfit. Big, bold and artfully interesting. We love the asymmetrical shape and dusty pink hue. 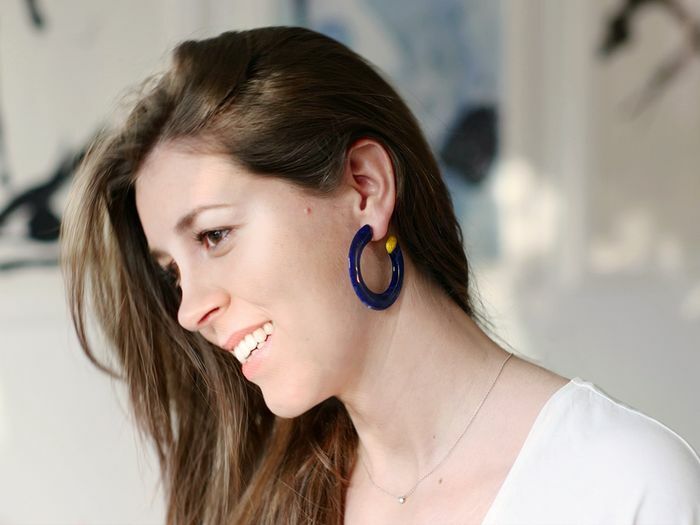 Mismatched earrings don’t come much cooler than these. Crafted from wood and antiqued silver, these flat hoop earrings are guaranteed to turn heads. Versatile enough to wear from work to weekend. A dense oval shape will elevate every outfit. We’re officially ready for spring in these mint resin must-haves. Up next—complete your look with these statement earrings.